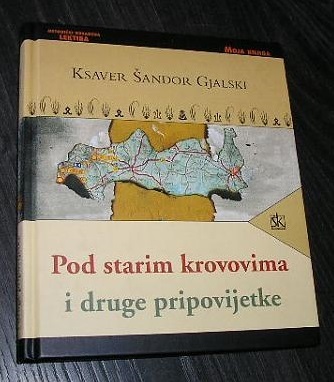 Ljubomil Tito Josip Franjo Babić (pen name Ksaver Šandor Gjalski) was born in Gredice, in Hrvatsko Zagorje, to father Tito Babić, Gredice landowner, lawyer, under-prefect and governor of the Varaždin county, later president of the Court in Varaždin, and mother Helena Babić née Šandor Gjalska and Kišžiljska (de Gujla) and owner of the estates of Ščitarjevo and Kosnica. 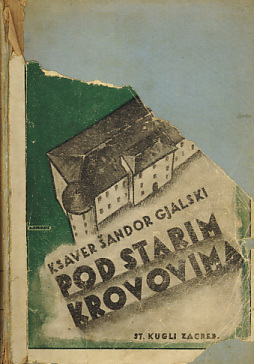 I was born in Gredice, the family estate in Zagorje, in an old country gentleman’s house built in the previous century, one that the old county maps and documents, unlike the usual wooden houses of the gentry, called the Castellum. And in this house my father was born, and so of course there were hundreds and hundreds of threads that were woven from the very first days of life between the old house and myself. And so it happened that I very early on learned to read and write the alphabet, firstly from the clerks in the office, and then from the teachers taken into the house. From him from my first hour I took on an indelible love for all that was Slavonic, and still more love for my native soil, the love of country. Until my seventh year, I was there all the time. 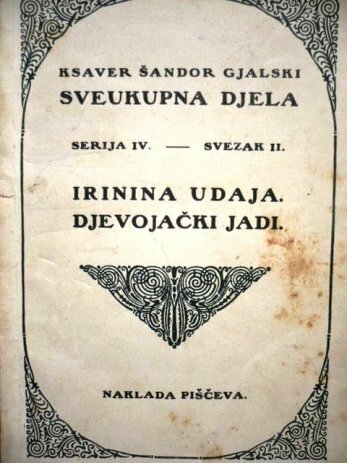 The whole family moved to Varaždin, because Gjalski’s father had been appointed county and district judge, and then under-prefect. 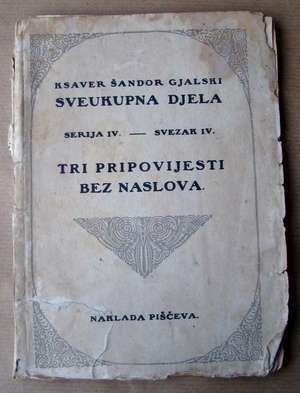 Gjalski went to elementary and high school in Varaždin. In Varaždin I went to the elementary school, for the teacher there was a certain Femen, a former tutor of my father. But my father kept a tutor, and I was not a full-time pupil at the school. In the same year I went to school, 1863, but at once to the high school, after having taken the test to the elementary school and the high school. The first literary attempts. Reads Bulwer, Sue, Dumas; period of dreams and romanticism. 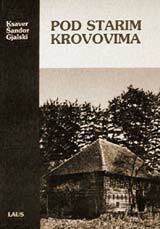 After he had read Kvaternik’s work The Eastern Question and the Croats, he corresponded with Kvaternik and visited him in 1870. But if I was permanently at war with Latin grammar and then with Greek later, and with mathematics, I was excellent at history and Croatian and German literature – as early as the lower forms. In addition to history I was interested from my childhood in politics. 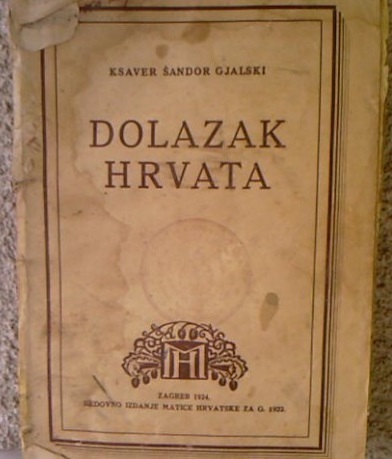 Matriculated in Vara`din, and the same year enrolled in the Law Faculty, Zagreb. Still inclined to the Party of Rights, came into contact with socialists, learned of Marx, and started to try to write a socialist novel, Son of the Future. And from my earliest youth I was enlightened by my father with the light and bright rays of Illyrianism, South Slavism, indeed of Pan-Slavism. I bowed with all my ardour to the greatness of Ban Jelačić, Patriarch Rajčić and most of all to the great figure of Bishop Strossmayer. 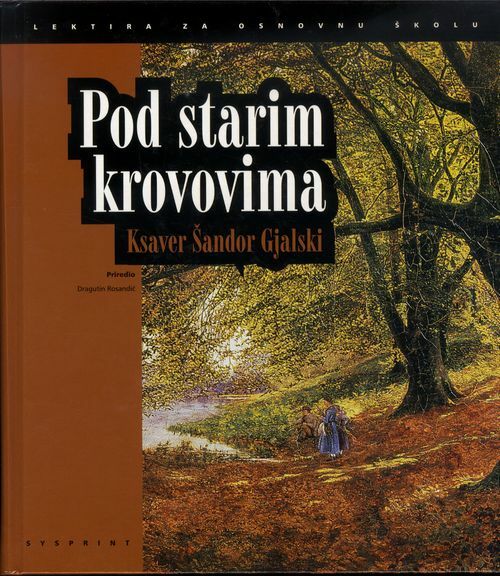 And now I heard enthusiastic words only about the Croats and Croatian things, and I also heard harsh attacks on Illyrianism and still harsher on South Slavism and Serbian things, learned the mockery of Starčević at Slavism and Serbianism, and Gaj and Strossmayer, whom I had so much admired. Thus in the original I read Voltaire, Rousseau, Balzac, Stendahl, Lamartine, Hugo and so on. Balzac was the first to win me. Enrolled in the University in Vienna. In 1873 I took the first state exam in July and in the autumn I enrolled in Vienna University, where I went only in January 1874, because I wanted to revel in country house life on the estate. At that time one writer won me in particular. This was Turgenev. At Vienna in the first weeks I was very homesick for my house and suffered very much from this. Then Turgenev fell into my hands…. From now on Turgenev was my constant spiritual companion… and at home, in Gredice, I gave up Son of the Future, and other narrative endeavours, and started to try to write about what was close to me, around me and in me. Gjalski’s stay in Vienna came to an end, and he returned to Gredice again. During the time of the Serbo-Turkish war, his belief in Starčević was shaken. At that time I broke with the Rights Party, the cause being that my Rightists, together with the Hungarianophiles, celebrated Kerim-Pasha, victor over the Serbs… I saw at that moment that I was not on the right side, and that I was wandering in the wrong paths. The first consequence was that I pushed politics away from me, and gave myself up the more to the reading of modern literature. 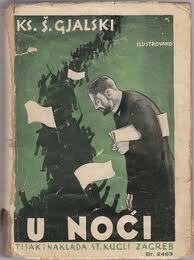 Stayed in Gredice, mainly devoting his time to reading. Turgenev’s view of the countryside taught me to look, and on the other hand taught me to be able to enjoy the beauties of country nature more and better. Apart from that I had brought a new acquaintance in literature from Vienna: Karl Emil-Francoz. His Bilder aus Halbasien I had known from the column in Neue Presse, and I also found the book Die Juden von Bernow. It was under this impression that I took up the pen and wrote the first sketch about Batorić. Took the government exam in Vienna, and then became a civil servant. The same year he went to Koprivnica. Served in Virovitica, where he met his future wife, the teacher Vilma Gonnerova. 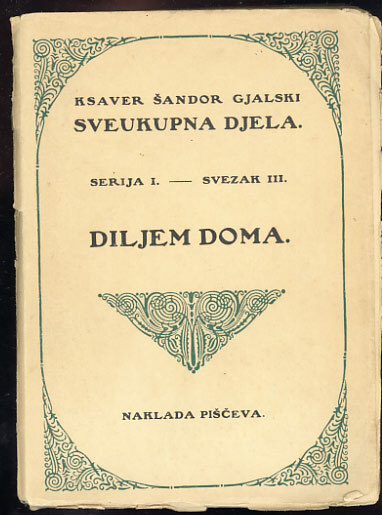 In Vijenacthe first two stories came out, Illustrissimus Battorych and Maričon. 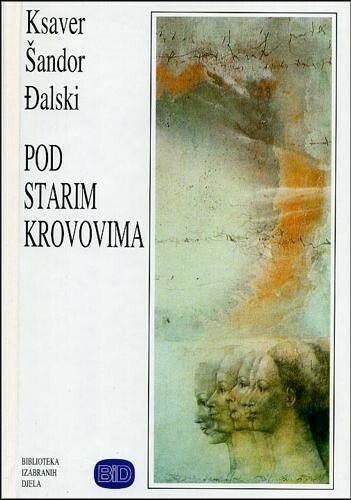 And from now on more or less every year some work of mine was published by Matica Hrvatska, and each one of these soon obtained in the catalogue or reports of Matica a little star mark, which meant that it was out of print. Posted to Pakrac, and after a short time to Sisak. My employment in the civil service was good in one respect in that I had the opportunity to become acquainted with our double-named people in our double-named part of our country, and acquired an insight into the most vital and then again most veiled part of this national life. 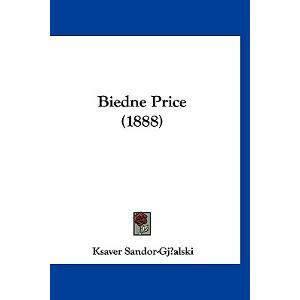 They had me go first of all to Koprivnica, then to Slavonia, and then to Virovitica, and then to Pakrac, where in 1886 due to a offence the person of His Excellency the Governor Mr Count Khuen-Hedervary that was ascribed to me, by way of penalty I was transferred to Sisak, and then in the reorganisation to Šid, where thanks to my indisposition I was unable to go, and then, after I had recovered health, at the beginning of 1887 they sent me to Sušak near Rijeka, whence before Christmas 1891 I was assigned to the Royal National Government in Zagreb – always in the same character, on the lowest rank of the hierarchy of beamters. Posted to the Royal National Government in Zagreb; the same year his mother died. I lost, however, my parents... I need not say here how much I suffered. But the loss of a parent is a decisive moment in the life of every man, and a difficult time. So it was for me, and for the writer in me it was most important, for because of it I threw myself heart and soul into the study of the occult, only to find answers to the questions of the soul, and whether I had lost them for ever. As “eternal and flying desk officer” he was retired. Returned to his estate of Gredice. Thus I finished my sad career as beamter and moved back to my home, my old native and birth place of Gredice. Assumed the editorship of Vijenac (with Milivoj Dežman Ivanov). 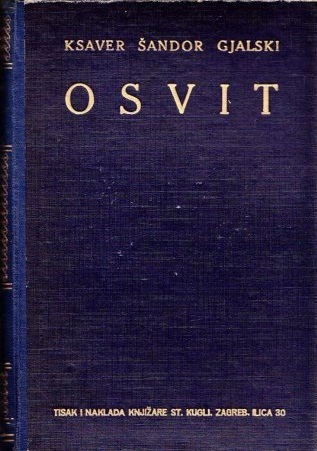 Because of my literary work the Slavonic Society in Sofia, Bulgaria, honoured me with honorary membership in 1905; the same year I was elected to the royal Serbian academy in Belgrade, art section, as corresponding member; then the Matica Slovenska in Ljubljana made me an honorary member, and a bit later the Srpska Matica in Novi Sad and finally – tandem aliquando – Matica Hrvatska in Zagreb. Elected a national representative in the Croatian Parliament for the Croatian- Serbian Coalition. 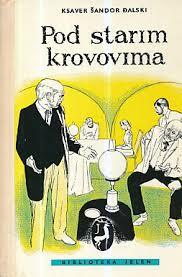 In 1906 I was as a member of the progressive party and the Cro-Serb. Coalition elected in Petrinja and the Petrinja district as national representative. As such I was elected to the joint Hungarian-Croatian Parliament. 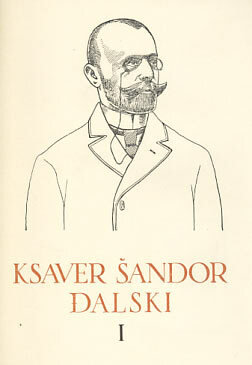 Elected President of the Croatian Writers’ Association (held office until 1918). 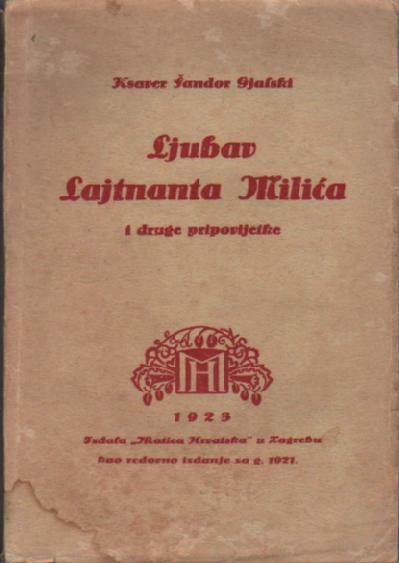 In 1912 I resolved to issue my collected works and put the matter into the hands of the Joint Stock Printers in Zagreb. It did not start badly, but the war that started in 1914 totally halted the firm, and like everywhere else I fared badly in this. But this edition showed that in my writing I had indited bit by bit a small library. Elected High Prefect of Zagreb County. 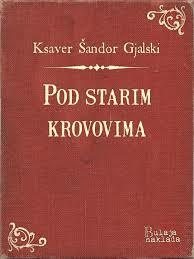 At the end of 1917 during the governorship of Antun Mihalović and the vice-governorship of Dr Krišković I was elected high prefect of Zagreb County and the city of Karlovac. 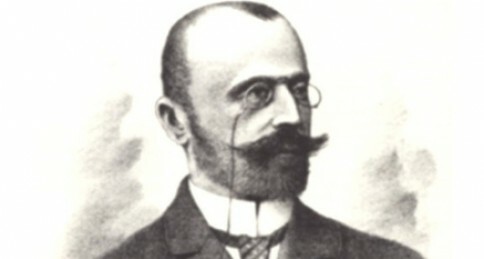 Member of provisional national council in Belgrade. Retired in the same year. Once again, for the last time, returned to Gredice. At the beginning of 1919 I was elected to the provisional national council in Belgrade, and in March of the same year, permanently retired from my position as high prefect, put “at peace”, as the new expression from the East had it.